Ref: CO0014 The compass opened the world to exploration and discovery. Invented in China thousands of years ago, it was primarily used by feng-shui priests, hired to advise on how and where to build. Today the compass still is a basic tool, a magnetized needle rotating on a vertical pin, pointing at the Earths magnetic North. 16th century sailors accustomed to following coastlines, could suddenly cross oceans. 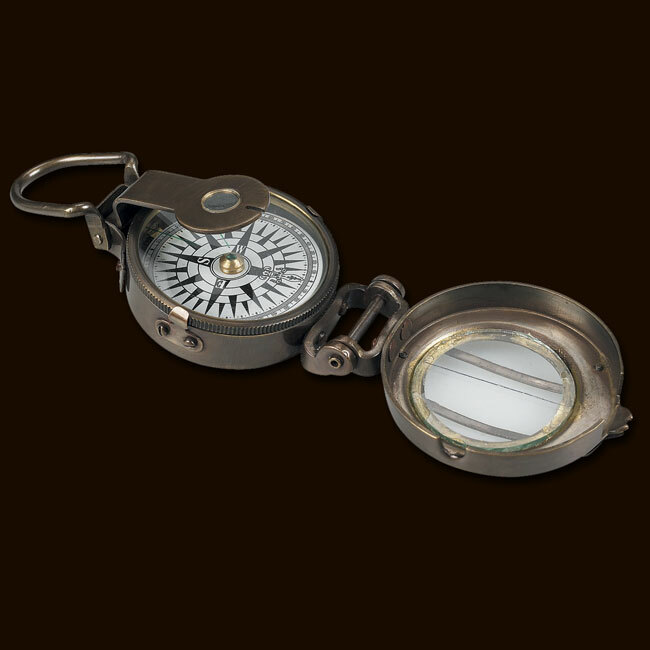 Sailors now devised a compass course, while still using their age-old knowledge of steering by fixed stars, ocean currents and prevailing winds to establish position.